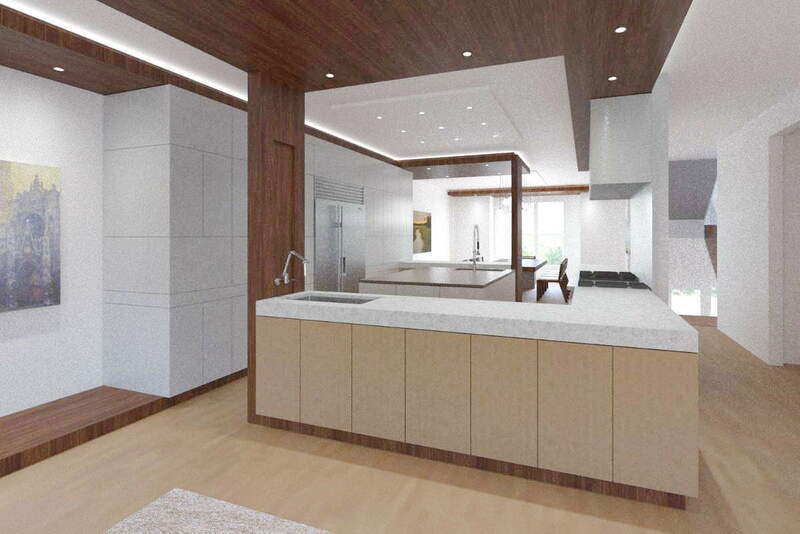 A complete re-design for the kitchen on the living floor of a town home, this is an enthusiastic approach to modern design. 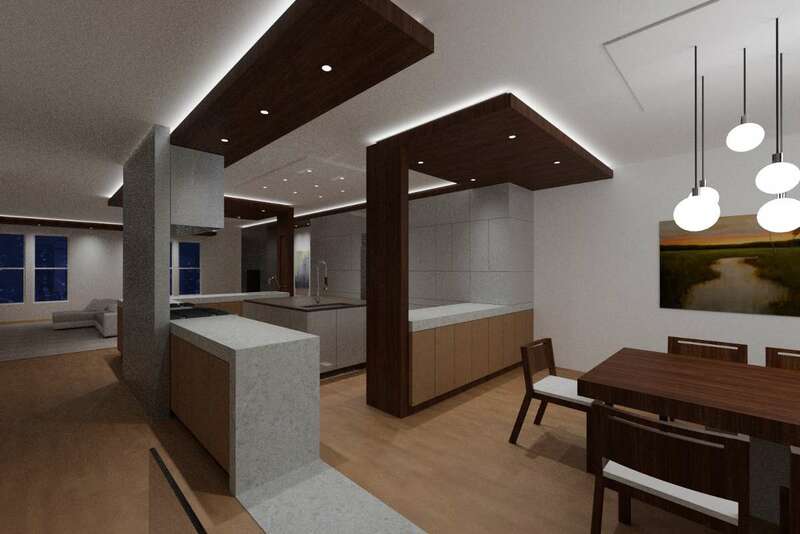 Natural materials and LED lighting emphasize casework and ceiling forms spiraling away from the central island. 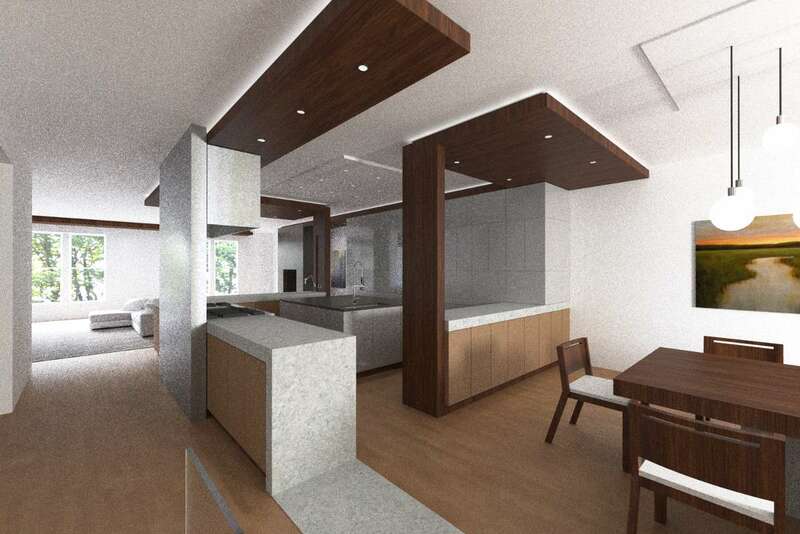 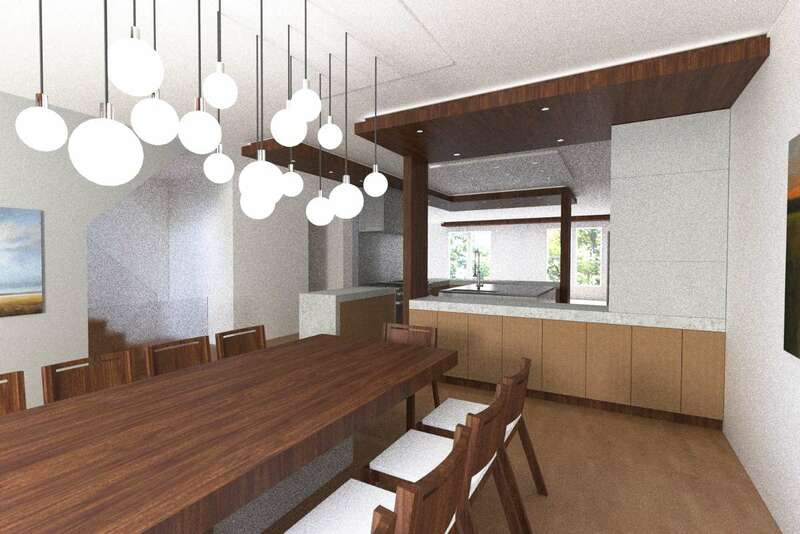 The adjacent dining and living rooms are wound into this with forms that extend beyond the kitchen to connect three distinct spaces.